Neil is a partner of Securities & Investment Advisors with over 20 years of experience as an Investment Consultant. Neil joined Cadaret, Grant their broker/dealer in 1989. Working with his wife Yvonne they specialize in customized, fully diversified investment portfolios for private investors. Neil specializes in ongoing investment selection strategies to fit the ever-changing needs of the investors. On the corporate side they specialize in the management of 401(k) Plans and similar type Pension Plans. Prior to joining Cadaret, Grant Neil owned an Automotive Service Business and was involved in the family owned Automotive Business in Buffalo. 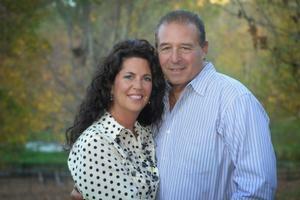 Neil is originally from Buffalo and has lived in Canastota since 1994 when he married Yvonne. Neil has 3 daughters and 1 son. He enjoys boating, summers on the water, golfing, vacationing, wine making, and his most recent hobbyà his Harley Davidson.